“Andrew will be remembered for his formidable intellect, his engaging warmth, his enormous compassion. He accorded the same respect to the marginalized and destitute that he gave to world leaders. His profound conviction was that being human was what mattered – the rest involved mere trappings. Andrew worked for the United Nations in some of the world’s most precarious situations, among them the Central African Republic, Ethiopia and Eritrea. He helped to broker the peaceful transition of power from Indonesia to an independent East Timor. In his final posting he worked passionately, with unwavering courage and with an unshakeable belief in the country and the people of Haiti. Andrew saw the best in people. He gave his time generously and without hesitation to those around him, and he radiated compassion and empathy for all living things. He loved his family and friends with a love that was deep and unstinting. 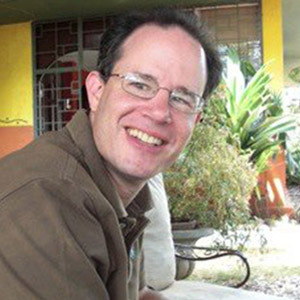 Andrew gave his life, aged 44, in the service of peace, in the earthquake of January 12, 2010 when the UN HQ building in Port au Prince collapsed. He is survived by his wife Jennifer, children Patrick, Alex and Rosamund, his mother Ethel, and his twin brother Gregory, who set up this Foundation with Timothy Perutz, their childhood friend. Thank you Rob and the team at Milkwood TV for producing such incredible, inspirational films about our Foundation. Thanks also goes to Ben Howard for allowing us to use his ‘Depth over Distance’ soundtrack to accompany the film. Video of the founding of the US- and UK-based charity, and what it has done. The Andrew Grene Foundation (AGF) was created in memory of Andrew Grene, a UN civil affairs officer who lost his life in the 2010 earthquake in Haiti, serving in the UN mission in Port au Prince.